Usain holding his commemorative Man U Jersey @ Old Trafford this morning. 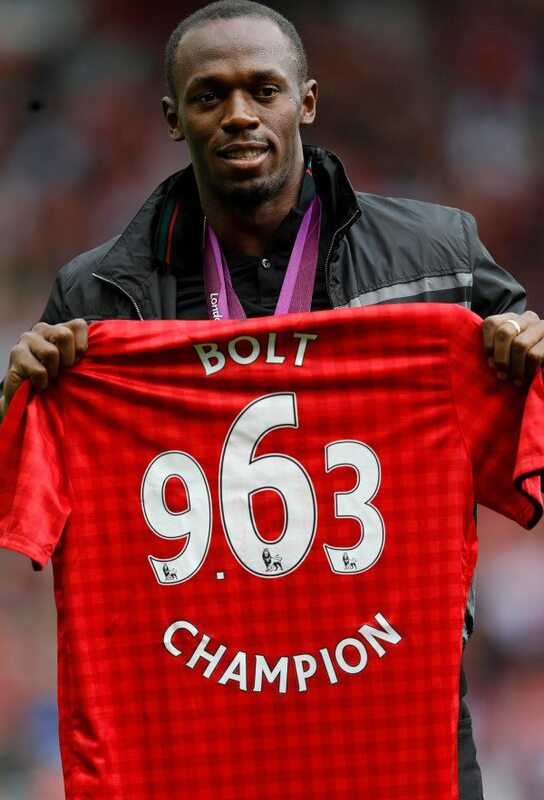 Usain Bolt is one of Manchester United’s biggest fans. 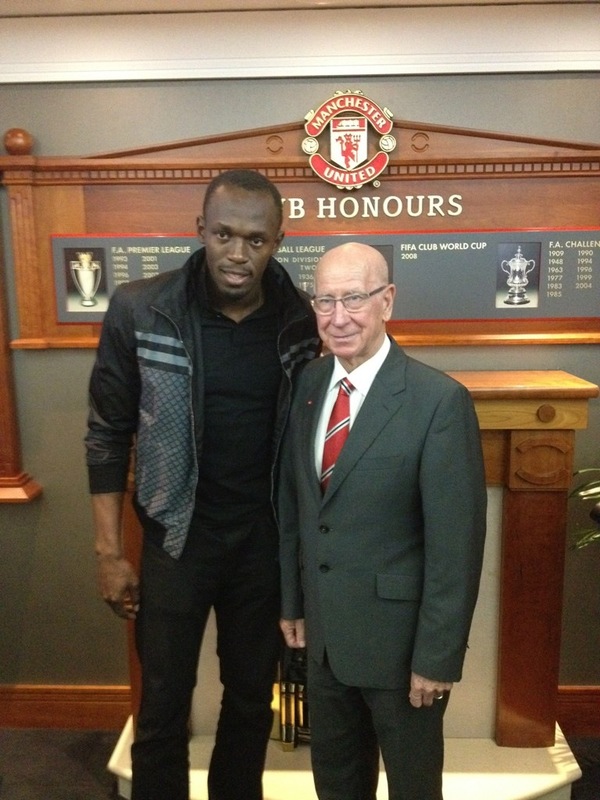 This morning the ‘Fastest Man In The World’ visited his Old Trafford to watch Man U play against Fulham. 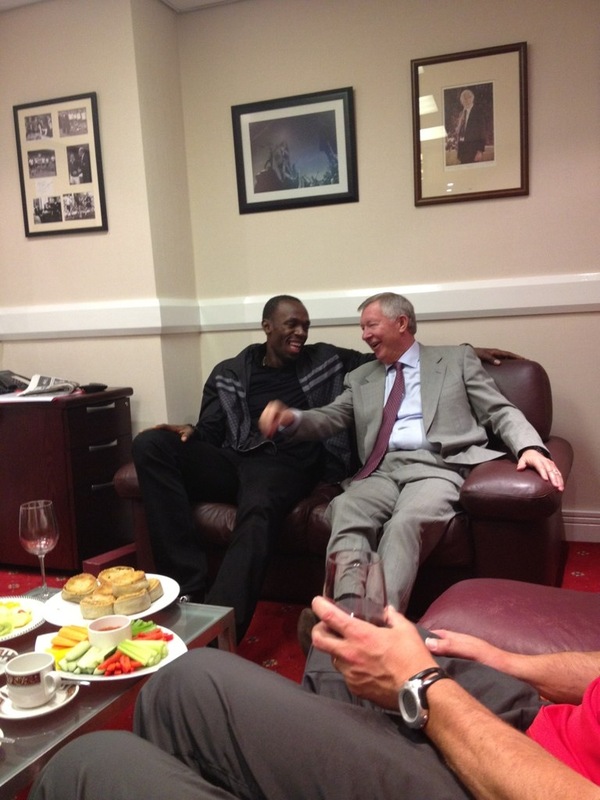 I wonder if he was really in talks with Sir Alex about joining the team …. hmmmmm.